BLOUNTVILLE — Scheduled openings of Sullivan County’s two new schools have been delayed because wet weather has hampered construction, architect Dineen West told the county Board of Education during a work session Monday evening. West Ridge High School, originally scheduled to open in the fall of 2020, will be delayed until the fall of 2021, while Sullivan East Middle School, originally set to open in the fall of 2019, will be delayed until the spring of 2020, she told the board. “We’ve had a lot of wet weather,” West, of Cain Rash West Architects, told the board. “We’d love to be able to get a week of dry weather, but that hasn’t happened.” However, she said footers for the new high school are planned to be poured in a few weeks. 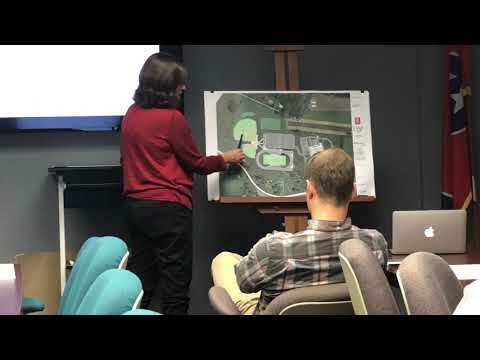 She said no sinkholes have been found in the construction zone of the high school off Exit 63 of Interstate 81 but that some may exist on a ridge where no construction is to take place. Both schools are funded by $140 million in countywide bonds and some money the board had set aside. Overall total cost for the high school is projected at $69,164,705 and $22,036,164 for the middle school. The board did not discuss the construction delays during the regular board meeting held after the work session, but Director of Schools Evelyn Rafalowski said after the meeting the board would take a formal vote on the delays at a later meeting. During the work session, she and board Chairman Michael Hughes said the delay will give the school system some breathing room in transitioning to the new school, including athletics. Rafalowski also said a meeting with Highway Department officials and other county officials will be scheduled soon to discuss the needed road access upgrade to serve the school. Since the system will get to have students occupy the buildings earlier than the last things set to be finished, which according to a timeline from builder J.A. 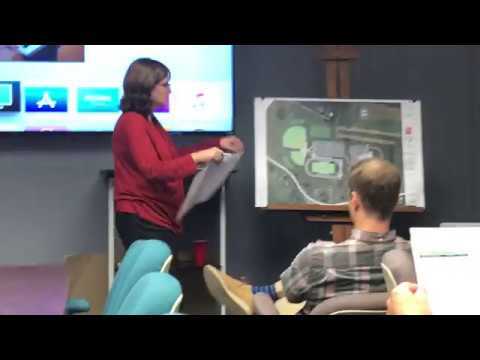 Street and Associates are the band and soccer fields in July of 2021, Rafalowski said students would be able to have orientation tours of the building “to coordinate and acclimate students to this building.” Most buildings are to be ready in April, as is the football stadium and field. As for football scheduling of games, Rafalowski and Hughes said the TSSAA contracts for playing games are done in two-year intervals that would have been split by a 2020 opening of West Ridge, which Rafalowski said with an estimated 1,700 students would be a 6A school, the same size category of Dobyns-Bennett High School and Science Hill High. In addition, she said doing the consolidation of Sullivan North and South high schools and most or all of Central High in 2020 would have not allowed the West Ridge Wolves football team into the playoffs. Depending on the final headcount of students, Sullivan East may end up with a portion of the current Central zone students. East Middle, being built by BurWil Construction, is to house 700 students, merging Bluff City and Holston Valley middle schools and the middle school portion of the K-8 Mary Hughes School in Piney Flats.